Westcoast Painting is headquartered in Renton, Washington and has been servicing the Great Northwest for over ten years. Westcoast is one of the most diversified painting contractors in the greater Seattle area and offers a wide variety of services. Dave Jones founded Westcoast in 2002, Though the company is young Dave has over 40 years' experience in commercial painting and construction. Many of our employees have worked with Dave for over 20 years, which helps bring integrity, experience, and knowledge to the Westcoast team. At Westcoast Painting we strive to create a fun, safe, and hardworking environment where all employees play an important part in building a successful company for generations to come. Dave Jones began his professional painting career in 1974. Just out of High School where he started his career and quickly grew and became a journeyman painter at a local union paint shop in Seattle, WA. Dave spent over 15 years working in the field as a journeyman painter acquiring years of knowledge and experience which later in life would prove to be instrumental to say the least. In 1992, Dave was hired by the late Chris Jensen, owner of Pacific Construction Systems (PCS) to start the Painting Division at PCS. During his 10 year tenure at PCS, Dave built a successful Painting Division which at one point in time employed over 150 painters and was one of the top paint and drywall shops in the greater Seattle area throughout the 1990's. After the sudden passing of longtime friend and mentor, Chris Jensen, Dave decided it was time to branch out on his own and start his own legacy. 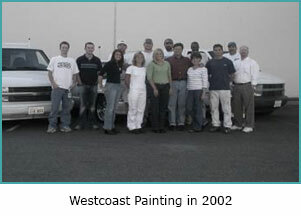 In 2002, Dave Jones founded Westcoast Painting; a family-owned and operated business. Dave Jr. "Butch", learned the painting trade from his father, painting in the field and working his way up in the ranks to be an Estimator and currently Vice President of Operations. Currently Dave's wife Laura, son David, daughter Katie, and son in law Tom all play key roles at Westcoast Painting. Today, Westcoast Painting has grown to become one of the most respected and diversified painting companies in the greater Seattle area and employs over 50 full time workers. Westcoast Painting is a young company; however, our team has countless years of experience and knowledge which heavily outweighs our number of years in business. Dave Jones has spent his entire career, over forty years in the commercial painting and drywall industry and has mentored many along the way and continues to give back to the industry today. 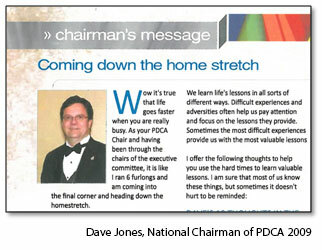 Dave has served on the Executive Committees for the Seattle King County Chapter, Washington State Council and in 2009 was the National Chairman of PDCA. Many Westcoast employees have worked with Dave for over 25 years, which helps bring integrity, experience, and knowledge to the Westcoast team. Meet the rest of the Management Team at Westcoast Painting. 2012 - Tom Hoffmann, company Superintendent promoted to Estimator/PM. Start Roofing Membranes Division. 2013 - WCP finishes 2013 growing 35% in sales and volume. Our mission is to achieve "Success Through Quality, Honesty and Integrity"
"Success" Success means something different to us all. Here at Westcoast we achieve success by following our motto as a company, "Success Through Quality, Honesty and Integrity". Hard work and consistently looking at ways to improve our business is what helps us achieve success. "Quality" Quality is one of the most important aspects of our service. We believe in creating a culture quality workmanship throughout our entire company. We have countless systems in place that help us deliver the best quality to each job, some of the systems include: Multiple field supervisors, quality control checks, job check lists, pre-jobs, post- jobs, punch-lists and setting the expectations high for all our employees. "Honesty" Honesty is something Dave Jones the owner of Westcoast Painting has valued throughout his entire career. As a company we strive to treat everybody fairly and maintain the reputation we have earned as being an honest company. William Shakespeare said, "Honesty is the best policy". We have formed our business operation around these values and strive to create a culture of honesty for everyone's benefit. "Integrity" Integrity is a concept of consistency in actions, values, methods and outcomes. Painting is a type of service where integrity in the work is an often time underlying and unseen effort by the contractor. Many contractors look for corners to cut and ways to save money on a project. This type of mentality is very short sided and is the type of attitude that eventually puts people out of business. Here at Westcoast, integrity is an endless value and we believe in delivering the true service that people are expecting and paying for.